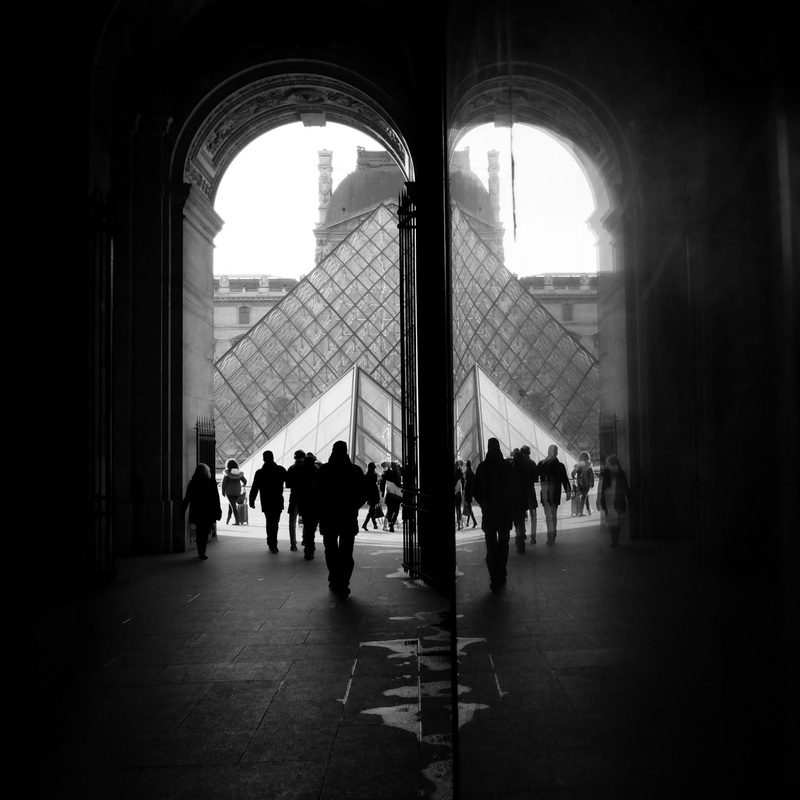 A group of people on the left and their reflections on the right walk toward glass pyramids at The Louvre. The playhouse, well, part of the playhouse, is on the right side of this picture. The tree is in the fenced area in front of the building. 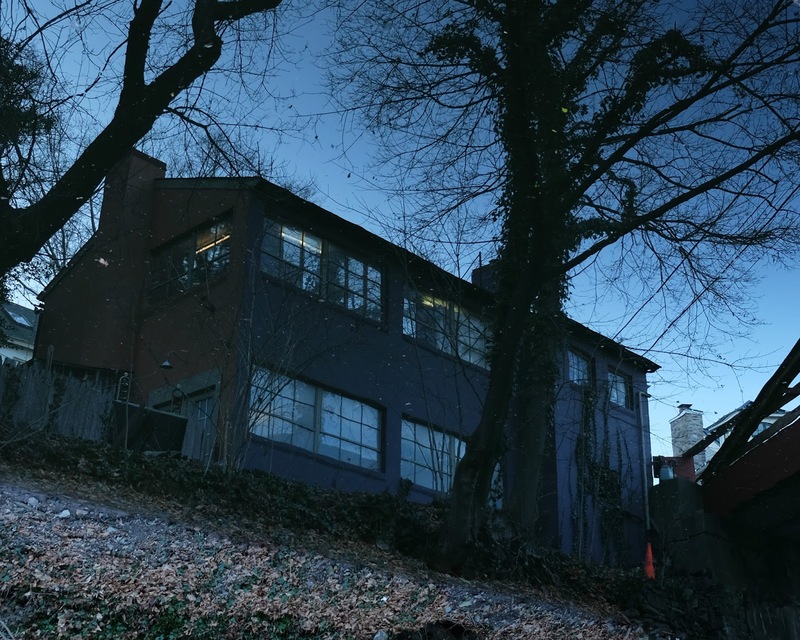 They are reflected in a creek that flows into the Delaware River. I would have been able to capture more of the playhouse in the reflection, but unfortunately there was a little waterfall, or I guess it could be called a reflection-fall in this case. Yes, I flipped this reflection upside down. I think it looks better this way. 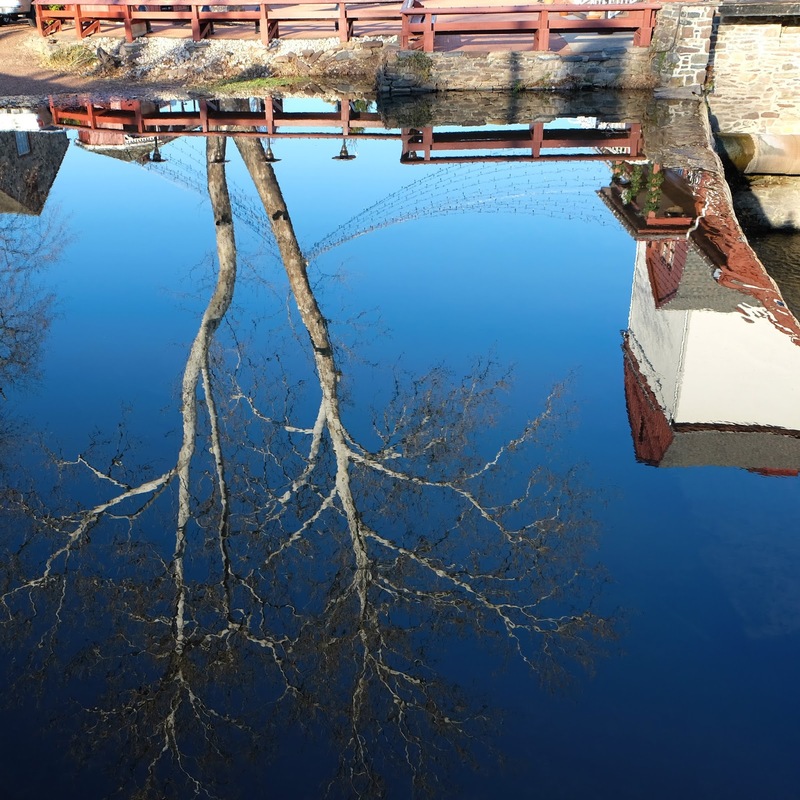 It's a building, some trees and sky reflected in the Delaware Canal towpath. The sun was going down and I was working with very little light so I was surprised that this reflection attempt actually worked. The stone building in the reflection looks pretty old, but I'm not sure how old. One thing for sure is it isn't as old as the white building on the left side of the reflection. Built in 1686 "Originally a residence, then tavern with other uses. 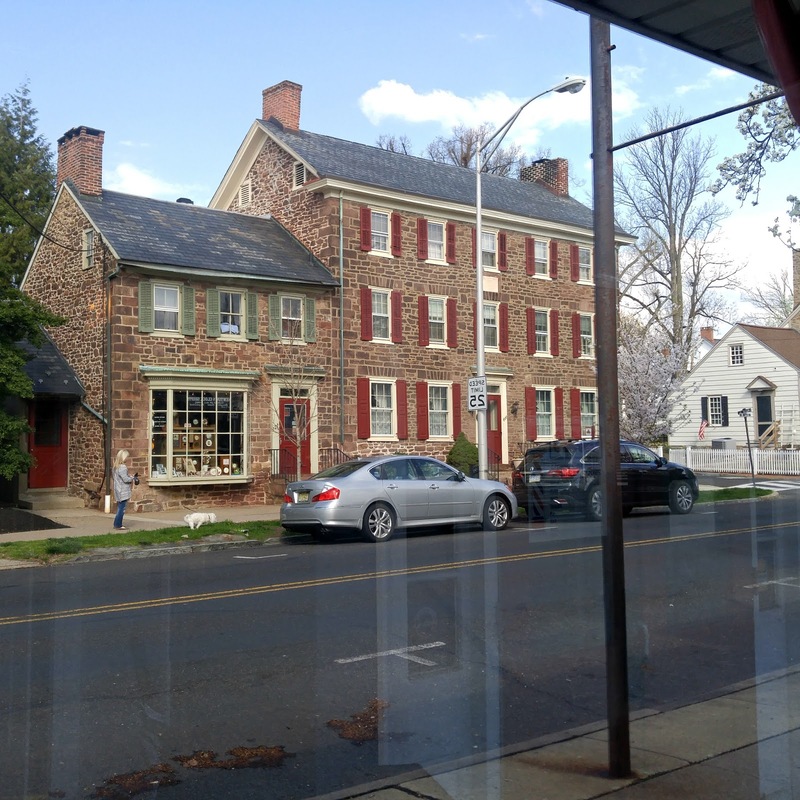 Oldest frame house still standing in Pennsylvania. Famous as the site of the 1778 Newtown Skirmish during which Loyalists killed 5 and captured 16 to acquire cloth being manufactured for use by Washington's troops at Valley Forge. Now a private residence."